If you are a relatively new business owner, a big question you might be spending some sleepless nights on, is how to establish differentiation for your business and brand, especially in highly competitive markets. Your whole message of who you are, why you do what you do, what you offer, how it helps others, what your brand personality and communication is life, what emotions you invoke in others. So it’s usually not one thing, but the whole story put together. But there are a few competitive advantage factors and strategy that you can follow for your business model. Let’s take a look at some of these factors and some positioning statement example of how some brands have established their differentiation. As small business owners, I know we tend to want to make our products and services available for everyone, and not eliminate anyone. But the truth is, it is always better to go niche, focus on a specific type of customer who can relate to your brand and start using it, build a loyal customer following, and then expand to a broader customer base. Axe launched by understanding on one hand the need for young teenage boys to attract girls, and on the other, that they lacked the masculinity and charm to do so. So the brand positioned itself as a magnet that would immediately help the young men lacking confidence, to having a masculine charm that would make young women run after them. Needless to say, this specific focus on young men, with a specific benefit, unlike any other created an immediate differentiation and strong brand positioning that has remained strong over the years. And even though they extended the product line to body and hair products, they still retained the same target audience. Recently, they have been strengthening this audience focus with a deeper message, by calling out to these men who feel a bit lost, to be themselves, irrespective of what the world thinks. A business can also focus on an uber-specific market or create one of its own. 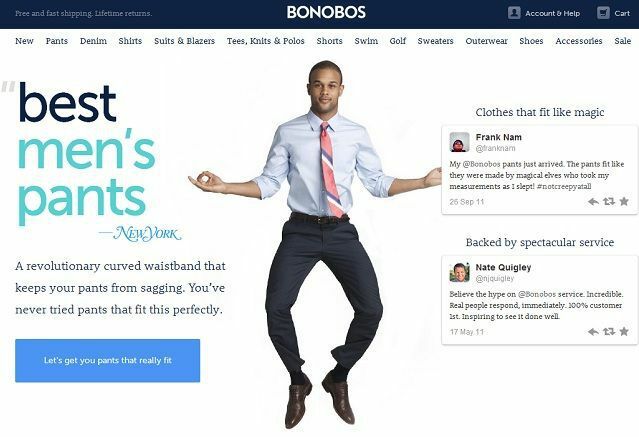 The founders of this brand, Andy Dunn and Brian Spaly, realized a specific problem: most men didn't like store-bought pants. So they started their business to create the perfect pair of pants. And they kept at it, till they made millions in sales. Just with pants. So while their business fell within the scope of men's apparel, by focusing on a single product and perfecting it, they worked in a niche segment of their own and won at it, before expanding to other categories of menswear as well. A brand grows by doing either of 2 things: solving a problem/ creating a desire. You can also create a niche by solving a specific problem within a specific industry, targeted to a specific client. In fact, for small businesses, this is the quickest way to establish yourself. This is a bold brand that focuses on a very specific problem: the embarrassment of the smell of your nature's call. Especially targeted towards women, who want to present themselves as very lady-like and groomed, and yet may get stuck in uncomfortable situations if they have to visit the bathroom at work or at a boyfriend's apartment. Air fresheners make this smell worse. PooPourri launched a solution, and went on to become one of the most sought-after gifts in the holiday season in 2014. Sometimes the way to create a robust differentiation is by going against the norm in the industry. While most supermarkets and grocery stores tend to put the best product in front of their customers, a startup led by Ben Simon, decided to change all that by selling all the 'ugly produce', the ones that would normally be trashed, at discounted prices. Building your competitive positioning as a brand which is constantly innovating, is hard to accomplish, because you have to keep it up at all costs. But if you can achieve this, it can do wonders for your equity and business growth. The MacIntosh computers when the world only knew PCs and Windows, the iPod when the world had become comfortable with the Walkman, the MacBook Air when people had grown used to lugging around heavy laptops - Apple has consistently broken the norm and launched something new which the world never expected. But as mentioned above, such a differentiation is hard to maintain. A common opinion seems to be that without much of new powerful innovation, it's strong brand positioning has been slipping over the years. While most products and services claim to be unique, the truth is that very close substitutes exist for most, giving plenty of choice to the customer. You can create a differentiated product positioning strategy by creating a product which is completely unique and hasn’t existed in the market before. For example, if you follow a Blue Ocean strategy, and can really tap into the white spaces in the market. When all the cameras in the market had to be managed very delicately, GoPro launched an action camera that was waterproof, lightweight but strong, and most of all, wearable. All at a modest price. You could shoot the sport while doing the sport. This differentiation through product features completely revolutionized the camera industry and created a very differentiated positioning for GoPro. When your features are not that different from other products and services, then one way to create that is excellence in performance. When you want to position your brand as the best in performance, then you of course have to consistently deliver on that. Not just once, but over a period of time, for the positioning to really stick in the minds of the audience. One brand that has achieved this is BMW. It has always positioned itself as ‘luxury performance’, with the tagline: The Ultimate Driving Machine. It focuses on delivering high quality with the best-in-class engineering, with a sophisticated and comfortable driving experience. You have to be careful of a brand positioning like this, however. Because if you can’t keep it up, and you have a competitor that starts to deliver better performance than you, your whole brand equity could be at stake. We had features, then performance. While these are differentiation, going one step further would be focusing on a specific benefit that the customer can get. 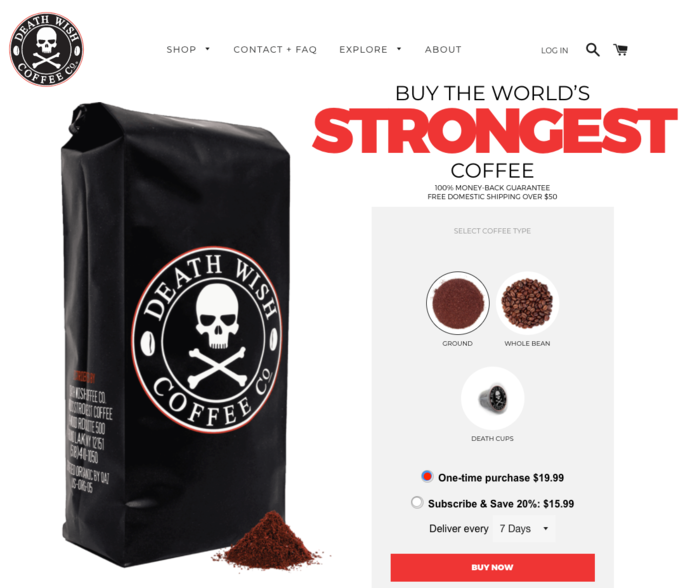 While some people like to know the source of their coffee, or focus on the taste, the founder of Death Wish Coffee, Mike Brown, a small business owner, understood that some people are just looking for really strong coffee. And that's what he based the brand differentiation around. Simple, direct, functional. Sometimes functional benefits can be made even stronger by proven, scientific claims, that give you an edge over the competition. These could be specific, patented technologies, or the level of results your brand can deliver. The top retailer of natural and organic products in the US, the Whole Foods brand not only has a positioning, but also a trademark of 'America's Healthiest Grocery Store'. It places a high emphasis on ethics, and doesn't stock products with harmful ingredients or preservatives. Being able to make such a big claim is key to retaining customer trust and loyalty over time. But that also means that they have to ensure that no competitor can up their ethical practices and product offers, to take this claim away from them. Though research says that too many brands can confuse customers, sometimes flexibility of options to choose from is exactly what makes the customer, or a group of them, seek out a brand. 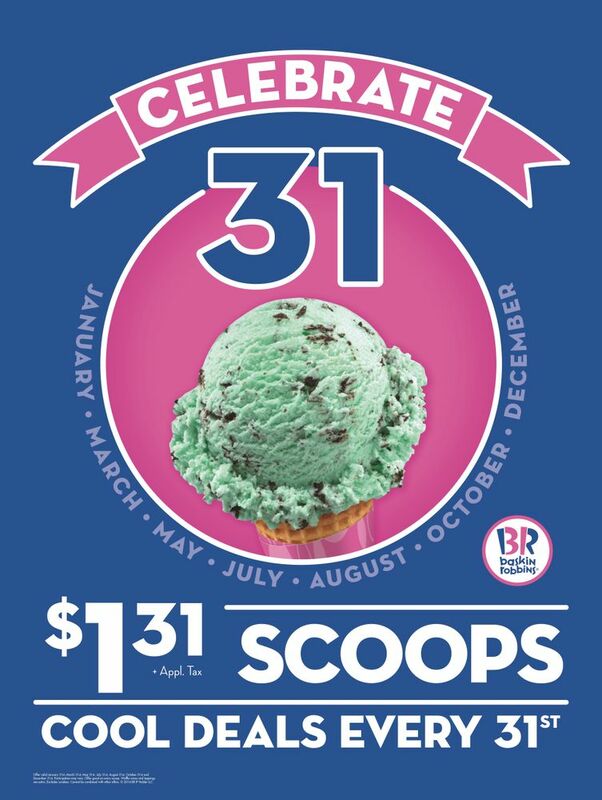 This ice-cream brand based their whole proposition on having 31 flavors of ice cream, one for each day of the month. And they also keep rotating the flavors. So no matter what your taste buds are craving, they have something for you, and new options, always. 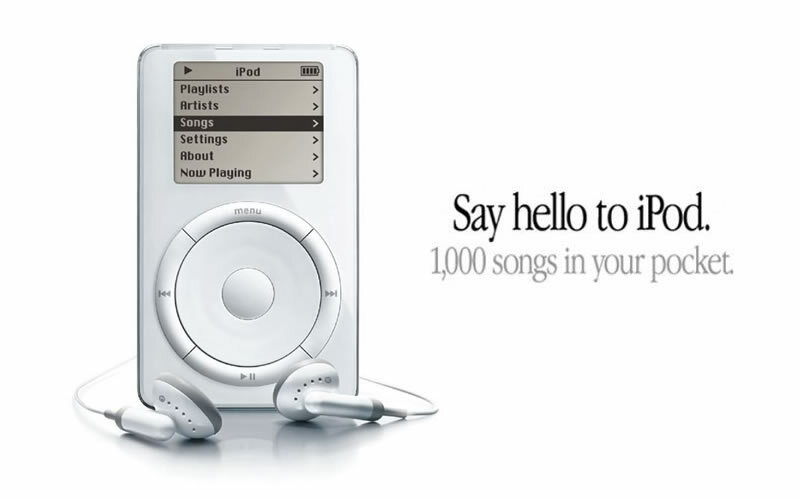 They have also used this number 31 in various communication and promos to retain the brand recognition. A brand is not just about the direct product benefits. It gains recognition and popularity because of the underlying benefit that comes from using this brand. Because people buy emotions, not products. The brand recognized quite quickly that the most powerful way to differentiate themselves in the minds of the customers, especially from their close rival Pepsi, was to use emotional connections. So they positioned the brand as one associated with connections, happiness, a good life, smiles, etc. As one that creates a sense of belonging. Price is one of the biggest differentiation factors, and a common question to ask while creating your buyer persona is how price-sensitive your audience is. 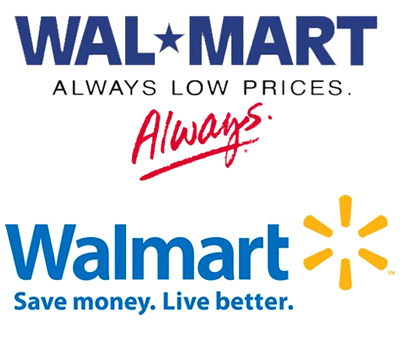 But remember, that if you want to keep low prices, your competitors can always undercut you, and you may get sucked into a price war you cannot control. 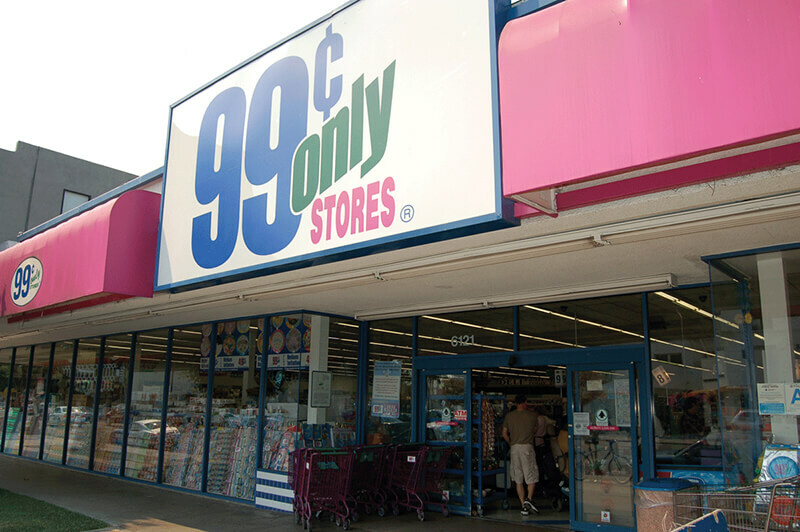 So don’t just go for low prices as your competitive positioning, unless you have a business model like the 99c store. Many brands claim to be able to customize their products and services to meet their client’s needs to a T. And in fact, for the service industry that’s almost a given. But a product company that takes it a few steps ahead is Rolls Royce. Because unlike other luxury cars, it's not just about being expensive and plush. You can't just pick up a RR from the showroom. If the company decides they are okay for you to own a RR, you order a bespoke Rolls Royce from scratch. Sometimes you can choose to create a business model in a way where the biggest differentiation could be the physical location of your brand. But you have to ensure that it is not easy to replicate by your competition. This could be especially applicable in the case of brick-and-mortar institutions like hotels and restaurants. Located in Singapore, at 156m above sea level, on the 33rd floor of a Singapore skyscraper, Level 33 is the highest craft brewery of the urban world, and it includes a restaurant. What makes the experience even more exceptional is the view from the bar: the ultra-chic skyline of Singapore, one of the world's most well-developed nations. So sure, there can be other urban breweries which can be at an even higher level than this brewery. But it would probably not have the same view and thus, never have the same competitive advantage. Sometimes you can even use a distribution channel or availability as a source of differentiation. 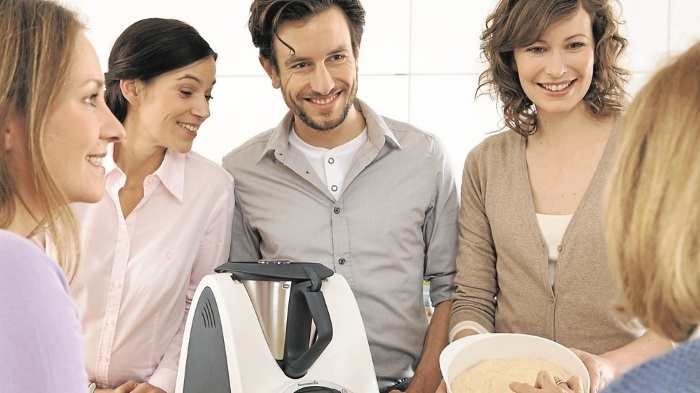 Thermomix is a kitchen appliance to help you prepare easy meals. But it doesn't make its products available on its website, Amazon, or other retailers. It follows the Tupperware direct selling model of having their own reps actually use the appliance in dinner parties to showcase it to a close group of people, who then go on to host their own parties. It insists on building a close relationship with the buyer by letting them buy it only from their reps. While this distribution channel is not new per se, Thermomix is the only brand adapting it in the kitchen appliance industry, which helps to create their differentiation. One way of creating brand differentiation that has been gaining momentum recently is the purpose of why a business exists. Studies sow that brands with purpose grow 2X faster than those without. Though you should have a purpose with a higher good in mind, and not just for a positioning, sometimes if you stay true to your purpose with every business and communication decision, your brand will automatically generate its own differentiation. 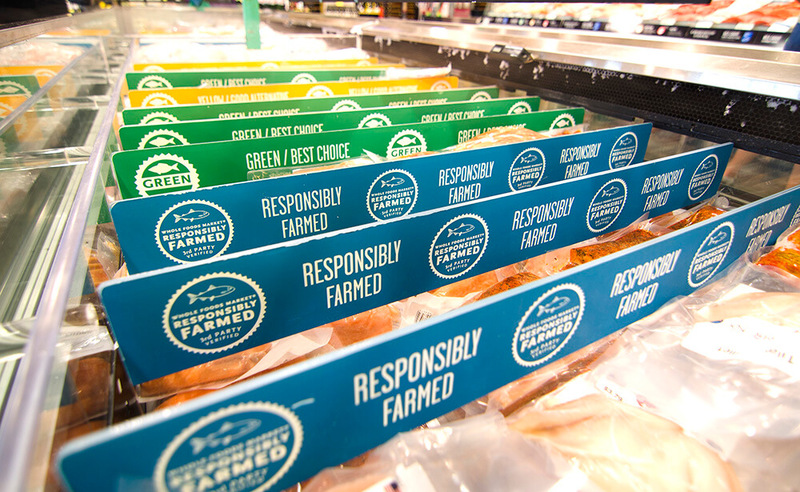 The brand's purpose is to clean up the ocean and coastlines, one pound at a time. And you can help by buying a bracelet, which will fund it. One bracelet = one pound of trash. So essentially, though the bracelet is the product they sell, this business and brand is all about the purpose. Now they are adding a new product to their offer: a reusable plastic bottle. But the competition of this bottle is not any other such bottle product, because the one from 4Ocean is being sold for a specific purpose. While the purpose is the fundamental of why a brand exists, the mission and vision of a brand is how, through their products/ services they aim to do good for a specific set of people, in a specific way. A feminine personal care brand, Always states its mission is to: empower women to live life without limits through trusted feminine care products and confidence and puberty education. It demonstrated this with a very powerful campaign, turning a phrase used almost insultingly, to a celebration of girl power, with the #LikeaGirl campaign. By connecting its mission to its products, and creating a differentiation with all other similar brands in the market. This retailer of outdoor sports clothing has always championed the cause of protecting the environment, protesting against measures that could destroy it, and helping people participate in movements to save it. Even as early as 2011, they increased both brand awareness and sales with their 'Don't buy this jacket' campaign, asking people to NOT buy their products unless absolutely required, even if it was Black Friday. It has continued staying true to those values to the extent of asking people to take action against the President's move to reduce support to national monuments in Utah. 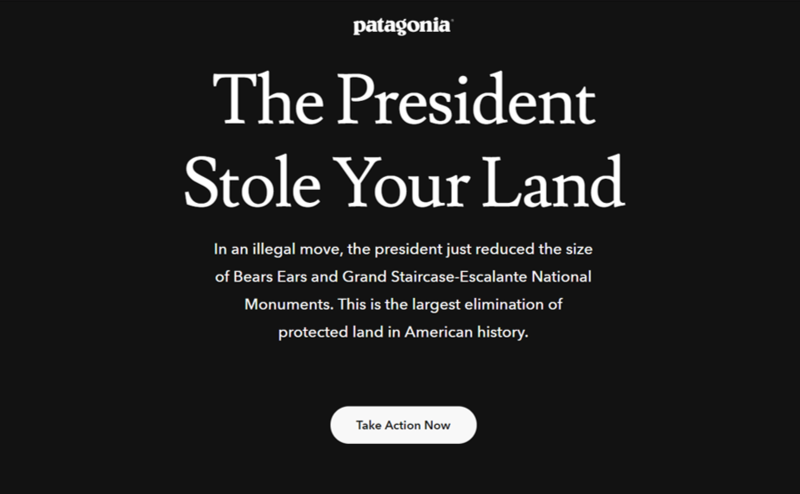 With consistent actions and campaigns like this, the brand has always retained its competitive positioning through its brand values of being an environment-protector. You can also differentiate by the ingredients or composition of your business products. 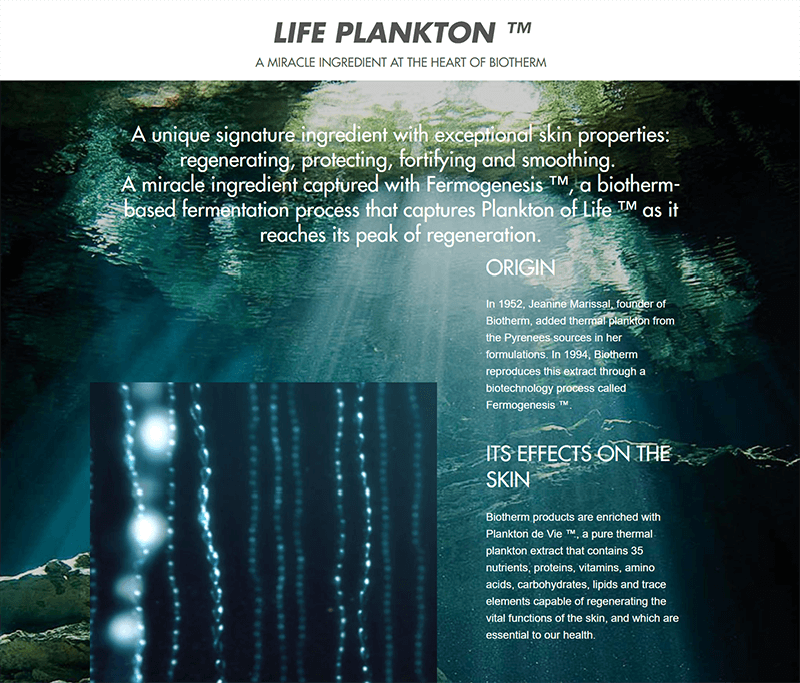 This beauty brand bases not just its positioning, but also its name, on the thermal plankton from the Pyrenees sources. All their products have at least some active ingredients from there, and they have retained this story for almost 70 years. You can also create your competitive advantage and positioning by the process in which your products are manufactured. While most beauty products are made in a factory, Lush cosmetics stands out by having handmade products made of organic ingredients, like fruit and vegetables. Even though it has a close competitor in Body Shop, which also claims to be good for the environment, the positioning of having their products handmade, along with minimal-waste environmental-friendly packaging, really gives Lush an edge. Uniqueness in process by which your customers actually receive your products or services. Pizza is one of the most common foods for home delivery. 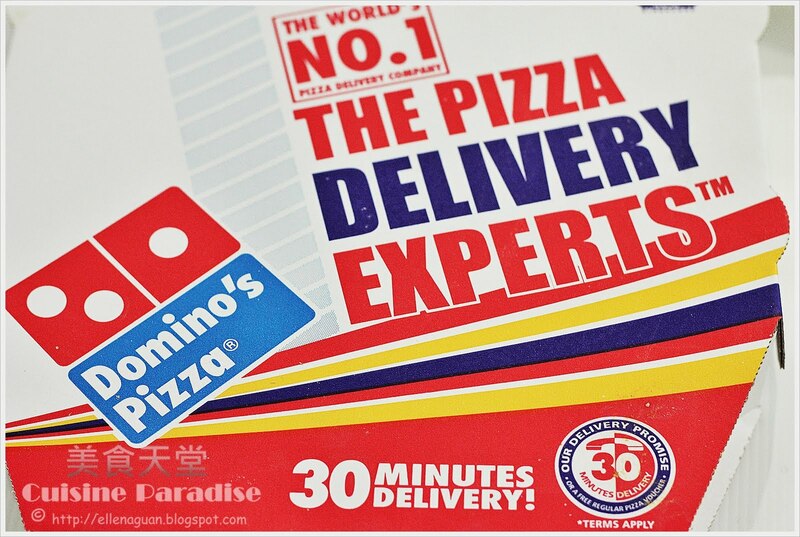 Domino’s created their differentiation by the delivery under 30 min or free concept, which is how the brand is remembered even today. If the look and feel of most of the brands in your industry tend to go towards a certain direction, you can choose to differentiate with your brand look and feel. 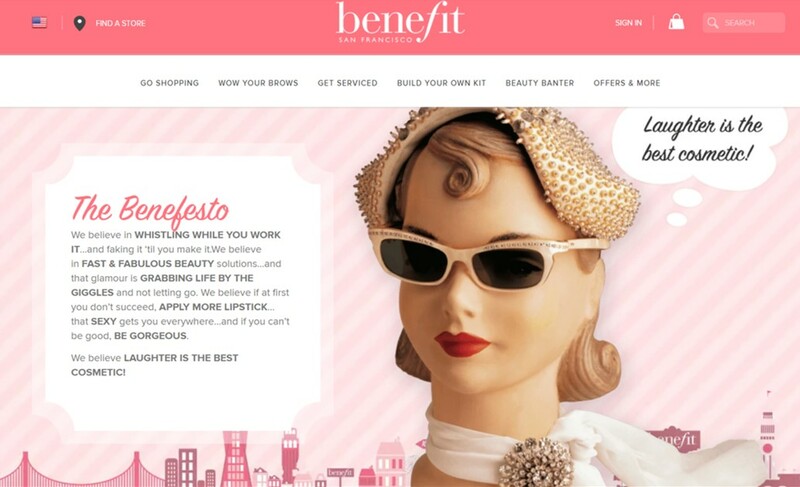 While many other cosmetic brands go by the glamorous, fashionable look, Benefit Cosmetics really stands out by its girly, cheeky, playful, fun, 'grabbing life by the giggles' way. A tone of voice is the style of written and audible communication through which the brand expresses itself. This follows the overall personality and values of the brand, and can be a big differentiating factor. 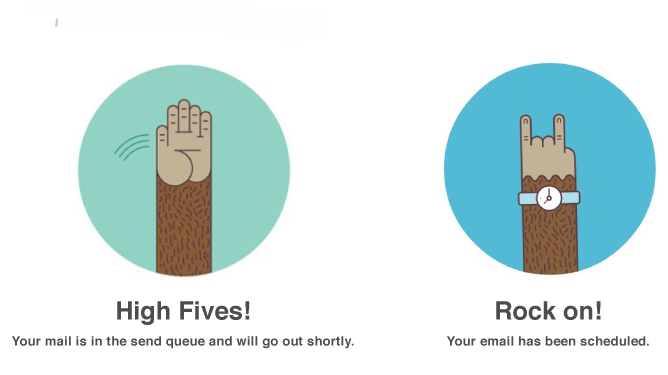 MailChimp is an online marketing platform, best known as an email marketing tool. And while it is free and simple to use, it differentiates from most of its competitors by its unique, creative, fun ways of tone of messaging. The people who run your business or brand can also create your competitive positioning. A pizza restaurant in Rome. It can't get any more average than that, right? This restaurant tried to prove that wrong by having their whole team comprised of people with Down Syndrome, to help them live a life of dignity and to pick up professional skills to prepare them for a better future. When customers are exploring the products to buy, they want to know that it will be easy to use them. And once they have bought, they want to have a good experience of using the products. Normally most companies would try to make this process as simple as possible. 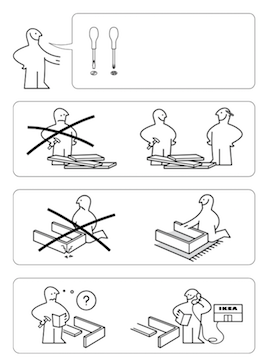 Ikea turned this concept upside down, by putting the onus of the user experience on the buyer. The customers have to choose, carry (heavy furniture or not), take it home, and assemble by themselves. So instead of being completely customer-centric, some aspects of it can even induce pain in customers. However, it makes sure that the instruction manuals are extremely intuitive, thus making the assembly process quite smooth, while staying a fun challenge. Service levels can really bring an added level of differentiation, especially if other brands are not really making it easy for the customer. 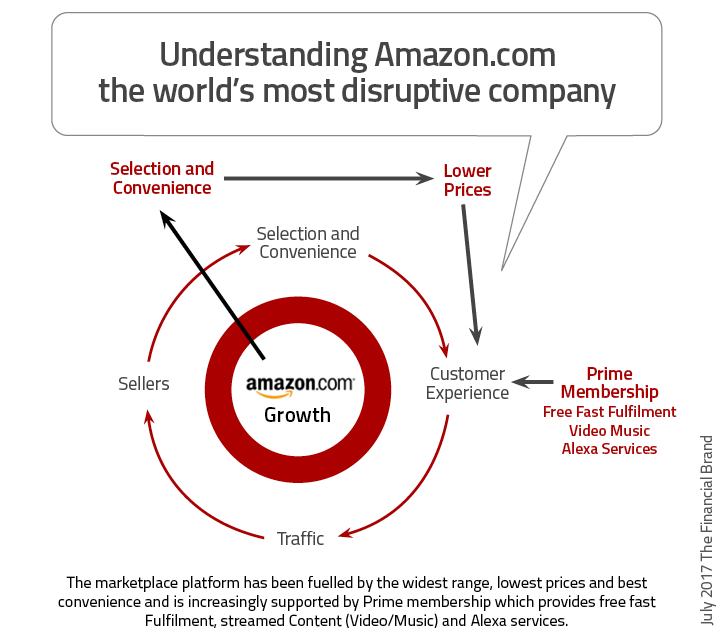 Amazon has over 3 billion products, across 11 marketplaces. So a customer has millions of options, across categories, at different price points. It has real customer reviews, for other customers to get a good impression of the quality of the product. And even then, after you buy, and open the product, if you change your mind, you can send it back, for no extra charge, without any hassle. And you get your money back. If you have any questions, you can quickly reach the customer service who solves your problems. Otherwise It is not just a shopping experience. It has truly brought a new meaning to the term customer experience. When your brand is endorsed by a person or organization who already has good credibility in the market, it differentiates you in the minds of the buyers, even elevates your positioning. For years the Unilever brand Lux has positioned itself as the soap of choice for superstars. While the soap itself is nothing special, and the look of the brand has evolved over the years to match the changing times, what has remained constant is its aspirational brand image as the soap of celebrity actors across generations. Want to know how to create a differentiated brand story, positioning, & marketing message? 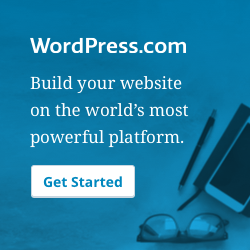 Get a complete, step-by-step guide for FREE.